Flourish- A new understanding of Life's Greatest Goals- and what it takes to reach them. In this groundbreaking book, one of the world's foremost academic psychologists- and founder of the Positive Psychology movement- offers a new theory on what makes people flourish and how to truly get the most out of life. Eight years have passed since the publication of Dr Seligman's internationally bestselling Authentic Happiness. As a highly esteemed psychologist, Dr Seligman has been on the cutting edge of psychological research for over two decades, pioneering a science that improves people's lives. And now, with his most life-changing book yet, Flourish, he offers a new theory of individual satisfaction and global purpose. 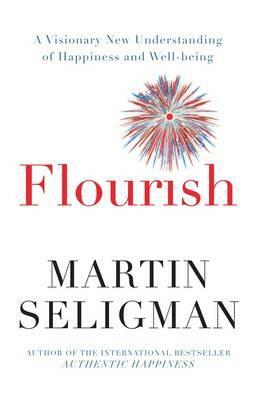 In a fascinating evolution of thought, Flourish, refines what Positive Psychology is all about and offers inspiring stories of Positive Psychology in action- innovative schools that add resilience to their curricula, with a case study of Geelong Grammar in particular- a new theory of success and intelligence; and evidence on how positive physical health can turn medicine on its head. Building on his game-changing work on optimism, motivation, and character, Dr Seligman shows us how to flourish and bring well being into our own lives. Martin E.P. Seligman, Ph.D., is the Zellerbach Family Professor of Pyschology and the Director of the Positive Psychology Center at the University of Pennsylvania. Among his 20 books are Learned Optimism, What You Can Change and What You Can?t, The Optimisitc Child and Authentic Happiness. His books have been translated into 25 languages and he regularly tours Australia.